G.P. Putnam's Sons, 9780399166884, 384pp. 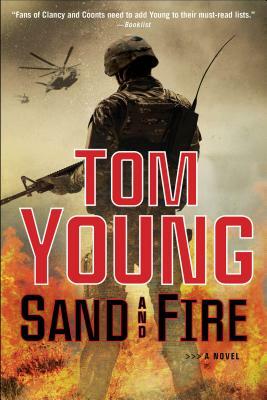 A remarkable military thriller from one of the most widely acclaimed new suspense writers in years Fans of Clancy and Coonts need to add Young to their must-read list (Booklist). But it is a trap. Several Marines are killed, some are captured, and the jihadist promises that unless forces withdraw, he will execute one prisoner a day. Immediately, Blount's friends and colleagues Sophia Gold, now with the U.N., and Lieutenant Colonel Michael Parson, working for the United States Africa Command, rush to Libya to help coordinate rescue efforts. The ordeal, however, has only begun. Soon they will all be fighting for their lives in the sand and fire of the desert.